Another week another birthday. This time round it’s my lovely housemate who is bravely entering her mid-twenties; just another excuse for me to get in the kitchen. Earlier in the week Vicky (the birthday girl in question), Matt (the fiance) and I, had sat down to watch The Princess Bride (a hilarious farce of a film), and we cracked open some Crabbie’s. It was such a lovely little evening, and I thought I would bake the experience into a cake to commemorate the little one’s birth. Crabbie’s, for anyone who doesn’t know (more fool you), is alcoholic ginger beer. 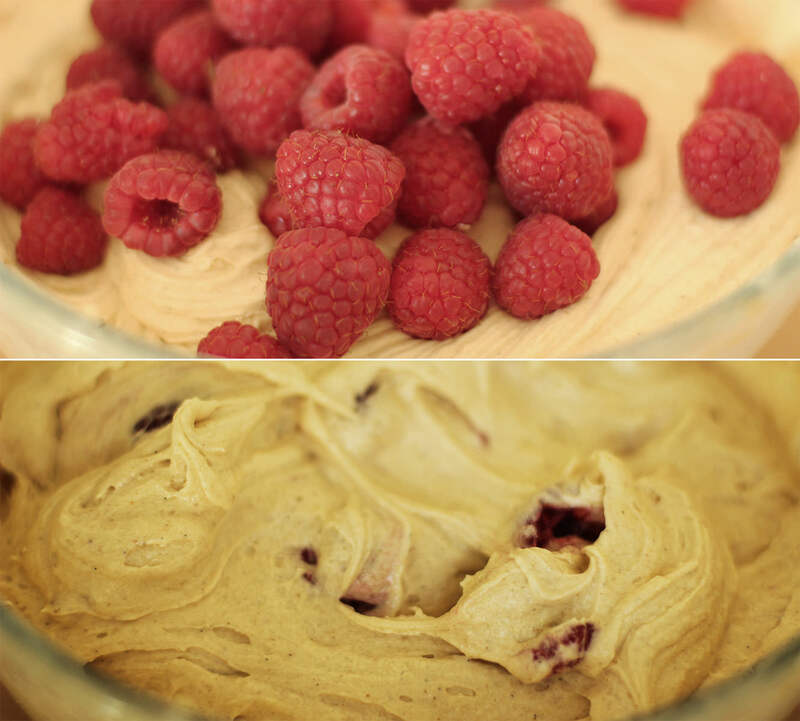 This particular batch was raspberry flavoured, and nobody was more surprised than me to discover how nicely ginger and raspberry complement each other. Add to that a honey and vanilla icing and you’ve got a birthday cake fit for any 24 year old. 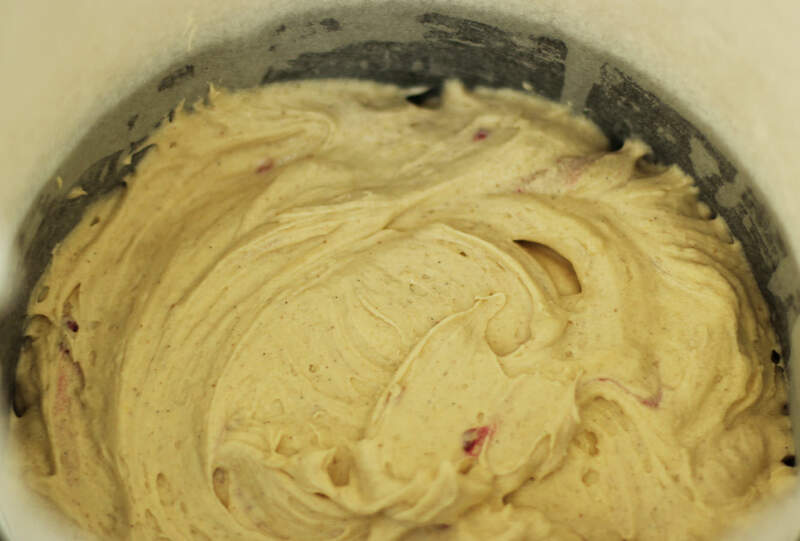 Using an electric whisk beat together the margarine and sugar until well blended and fluffy. 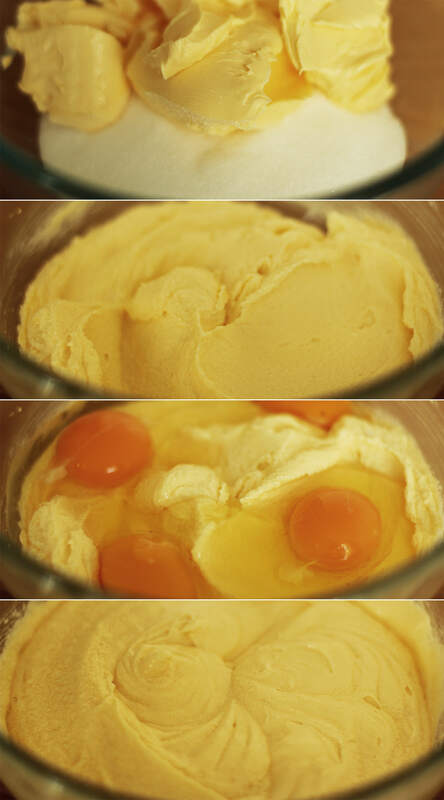 Add the eggs and beat again until combined. It looks a little split at this stage (see those little lumps at the sides) but you don’t need to worry, the flour never fails to sort that out. 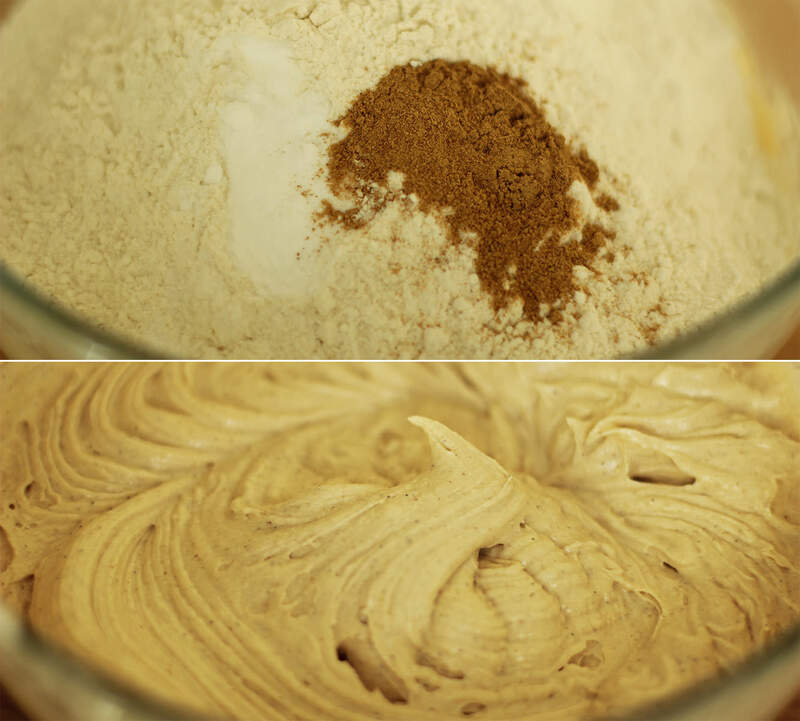 Add the flour, bicarbonate of soda and ginger and whisk again until smooth. I also added the vanilla at this point which is in the form great paste my friend brought me back from Vanuatu, tastes delicious and has the beans in it. If you aren’t swinging by the South Pacific any time soon and don’t fancy the investment in a pod or some paste then extract will do the trick. 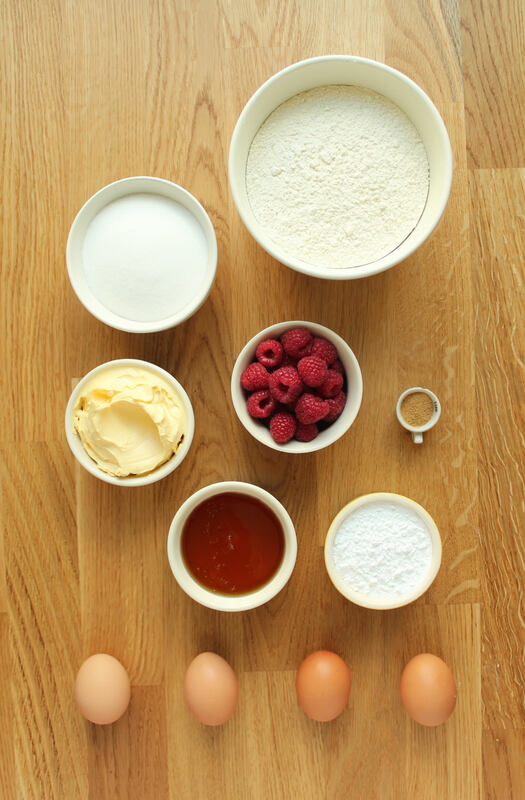 Add the raspberries and stir them in with a wooden spoon. I crushed some of them with the back of the spoon against the side of the bowl to help distribute them a little better. Spoon into a greased and lined tin, or two tins. Bake on 180C/350F/gas mark 4. 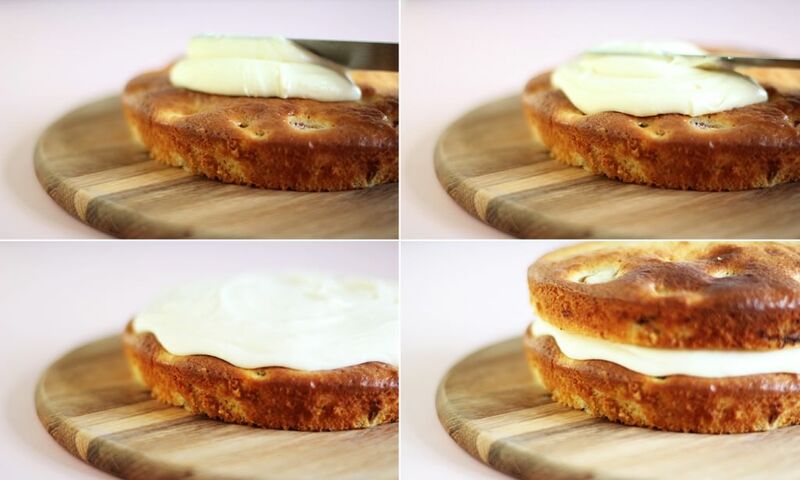 If you are just using a single tin you need about 45-55 minutes and make sure you line the sides so that the greaseproof protects the sides and top of the cake from burning. If you are using two separate tins 35-40 minutes should do the trick, and you only need to line the bottoms of the tins. 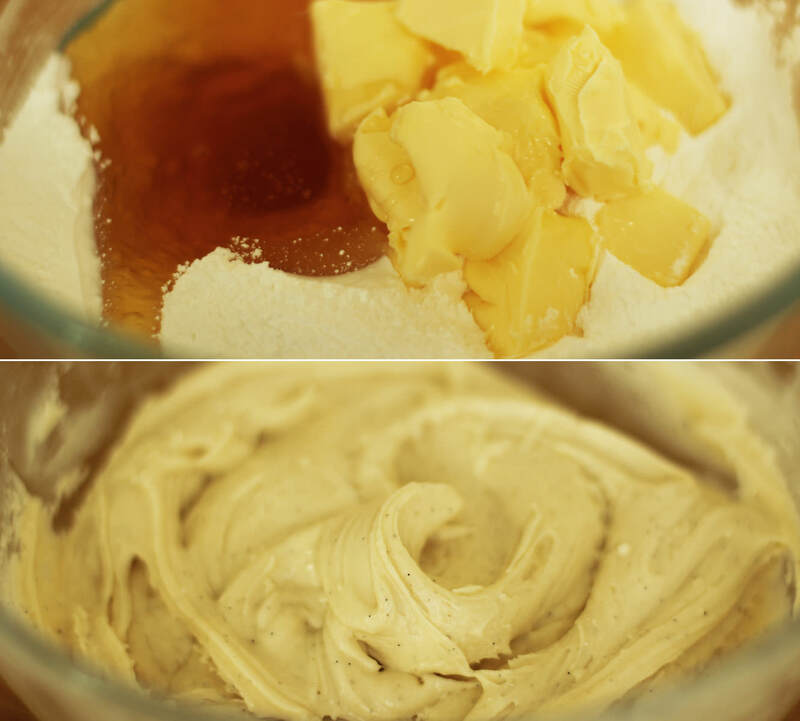 Whisk together the butter, icing sugar, vanilla and honey for the icing. 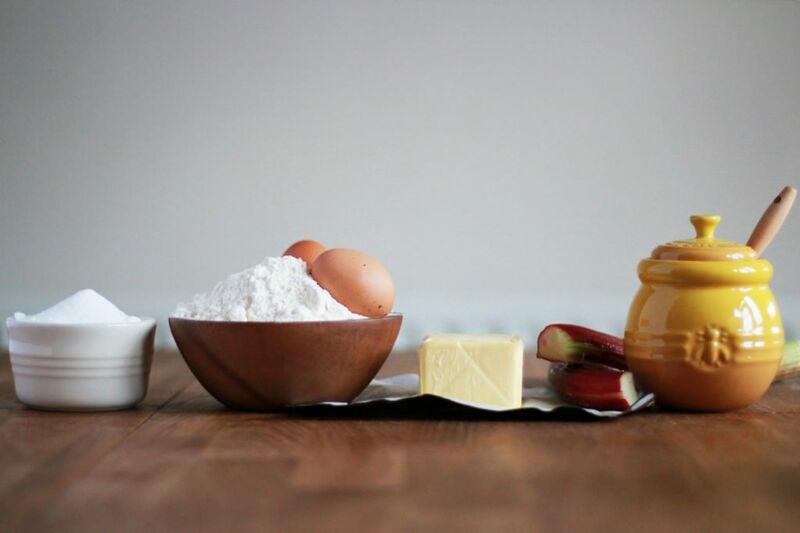 Cover the bowl with a tea towel before turning on the whisk so you don’t get covered in icing sugar. Once the cake has completely cooled assemble it. Use just under half the icing in the middle and the rest on top. 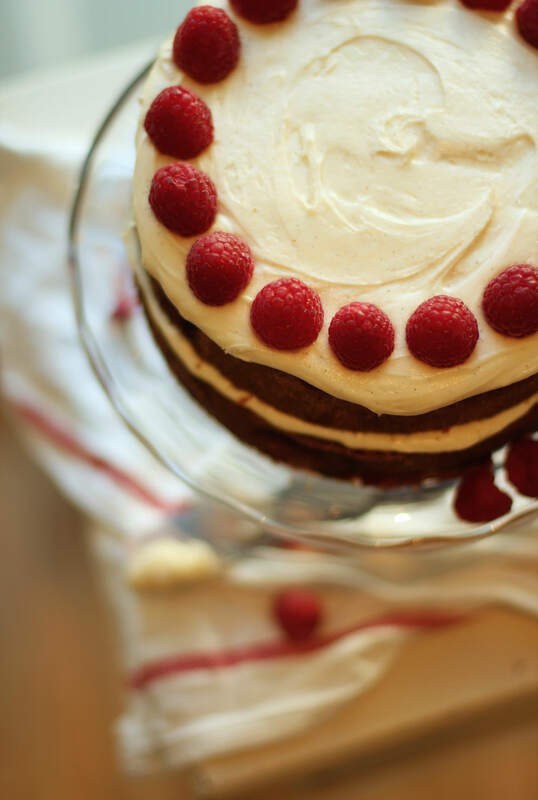 I then decorated with the remaining raspberries, but feel free to get creative! Summer for many a gardener means plucking berries from their carefully loved and tended to allotments. Now, in recent years Ma has joined the grow-your-own trend with considerable zeal. To be quite honest this surprised us all immensely, as besides the single hardiest house plant you have ever known (surviving some very aggressive re-potting exercises), everything green that has entered the house since I can remember has wilted before our eyes. It’s a curse. There are no green fingers under this roof. Fortunately, along with Mother’s rather optimistic plan to convert a section of the garden into a fruit and veg patch, came Ed; one of her colleagues complete with an allotment and a willingness to provide some plants he had given the best possible start in life. Against all the odds (and I honestly cannot overstate said odds), fruit and vegetables began to grow! 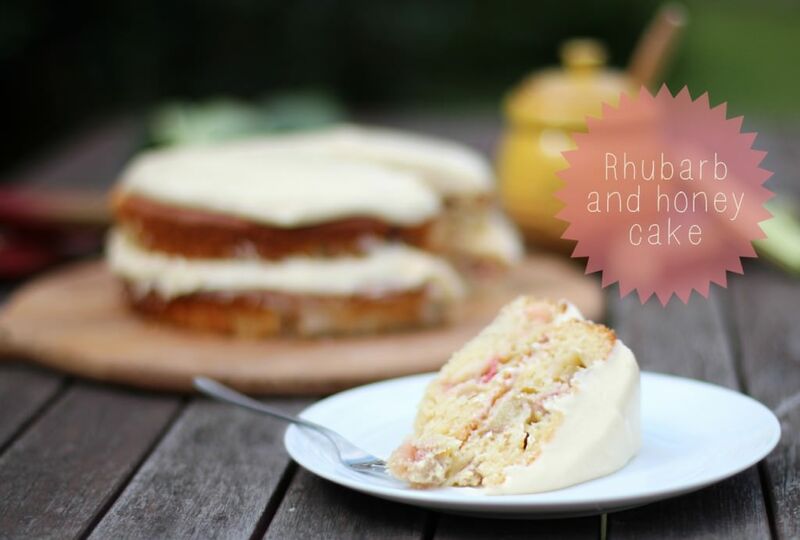 This year I decided to combine my love of baking and Mum’s little crop to give you a delicious rhubarb and honey cake recipe. Don’t turn your nose up until you’ve tried it; I’m a chocolate girl through and through but even I have been back to the kitchen for a second slice of this chap. First though, I think it’s only fair to offer a little round of applause to the grower for these beauties. Well done Mum, I wish I could say I always believed in you, A*. 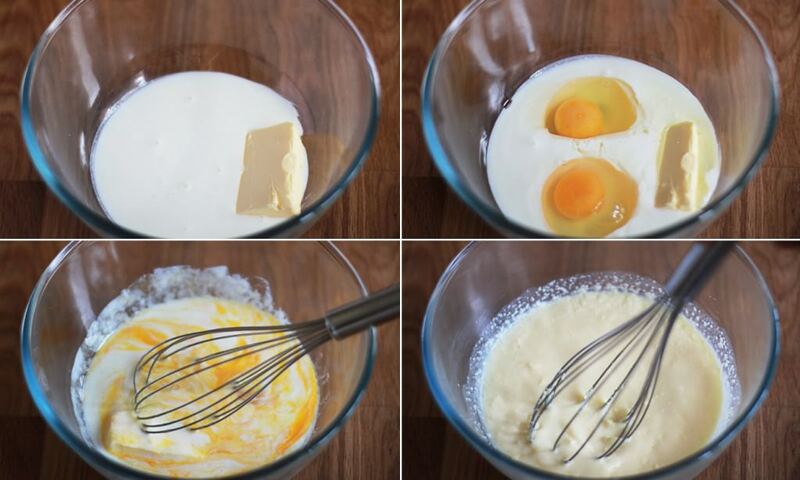 Combine the buttermilk, eggs and butter. Don’t worry if it’s a bit ‘curdy’ at this stage, if the butter isn’t super soft that will happen, but it’s not an issue, honest! 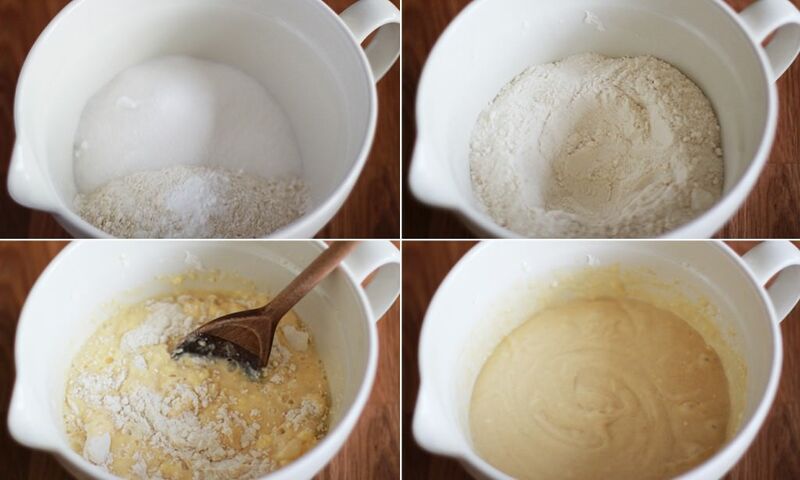 Mix together the sugar, baking powder and flour in a separate bowl. Form a well in the middle. Pour the wet ingredients into the dry and stir until smooth. 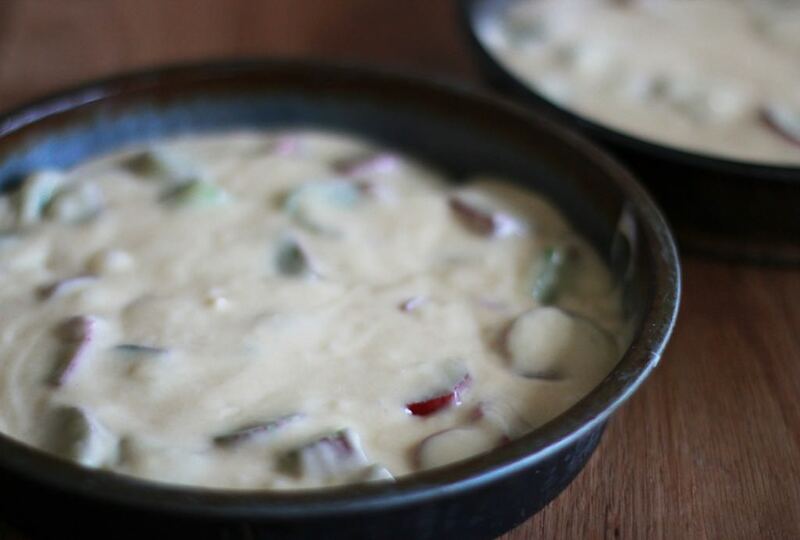 This cake mix is a little more batter-like than your average because of the buttermilk, so if you’re used to something a bit less sloppy, don’t worry. 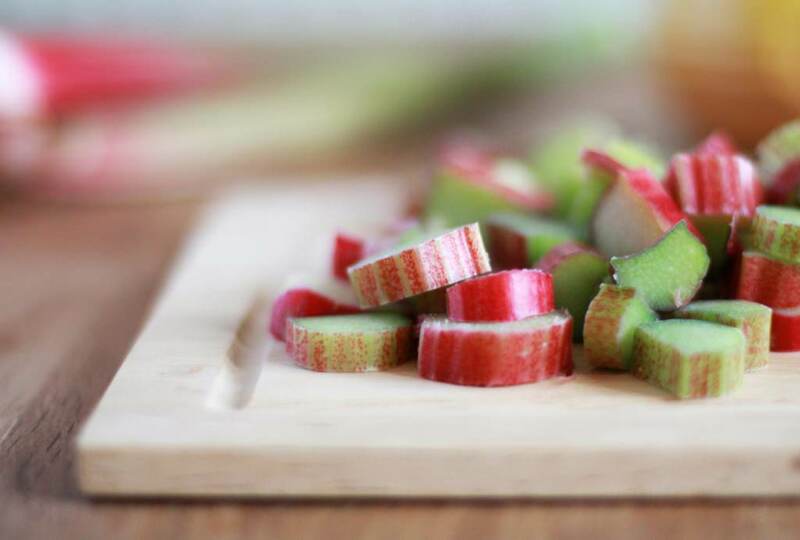 Chop up the rhubarb into slices approx 1cm thick. Get rid of any leaves and the weird husk type bits on the bottom if it’s home grown; I also got rid of a few stringy bits, but you don’t need to peel it. 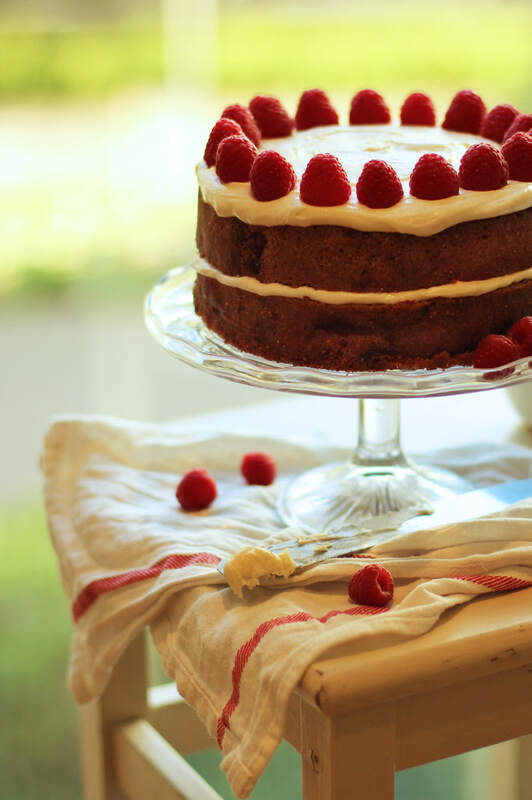 Whether or not your rhubarb is forced (grown out of season) or main crop like Ma’s you don’t need to boil it or add any extra sugar when baking it into a cake like this. The sweetness of the honey and the rest of the sugar in the sponge off-sets the sharper rhubarb taste really well. Grease and line two cake tins. 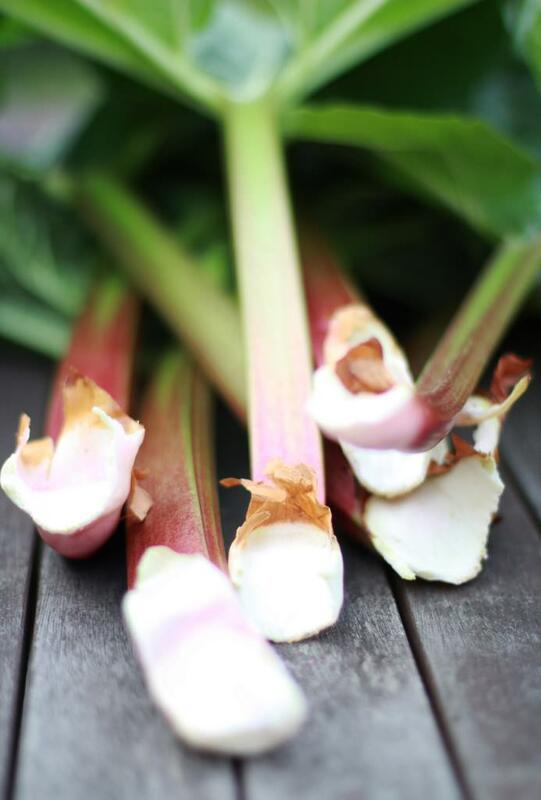 Stir rhubarb into the batter and divide between the tins. Bake on gas mark 4/ 180 C/ 350 F for 30-40 minutes until golden on top and it springs back when you touch the top. 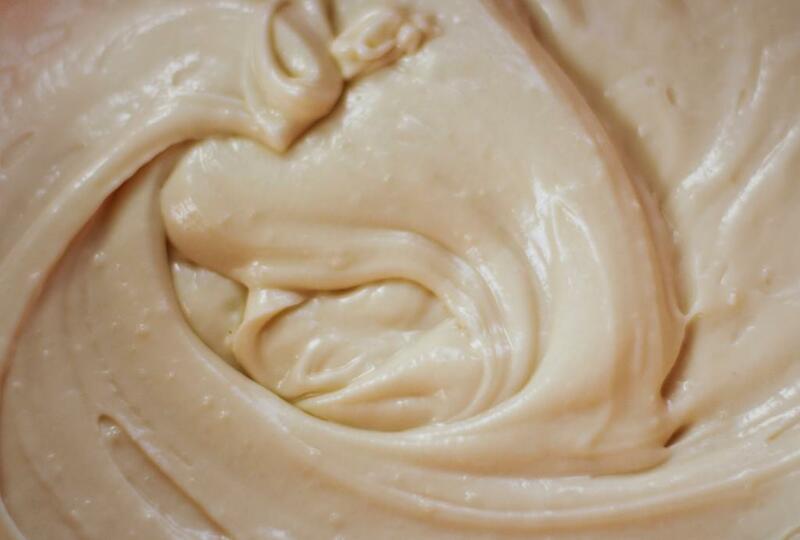 Beat together the honey, softened butter, icing sugar, buttermilk and vanilla extract to make the buttercream icing. It’s worth popping this in the fridge for about 30 mins before using. 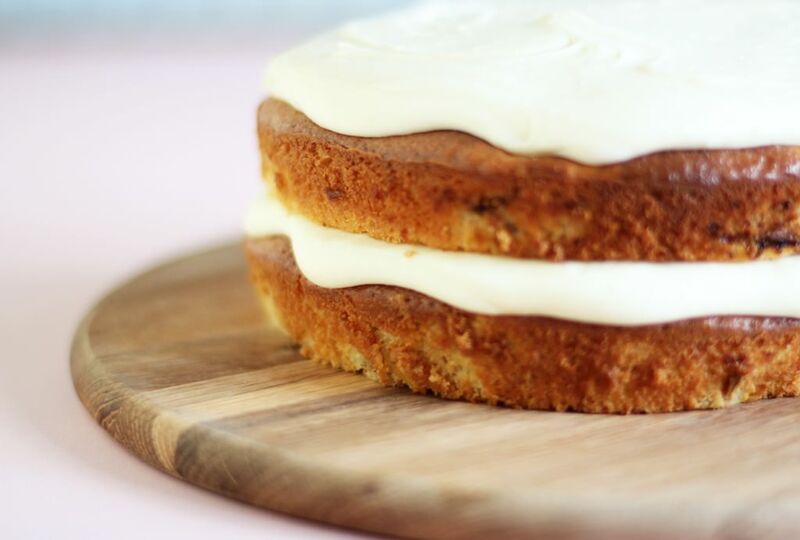 Once the cake has cooled completely, use a palette knife or the back of a spoon to spread half the icing onto the bottom cake. Don’t go right to the edge of the sponge, as the weight of the top cake will push it out a bit further and you don’t want it dribbling down the sides. Cover the top in icing too. I’ll be honest, I had a little left over, but I kind of made the recipe up as I went along so I’m not sure how to adjust so you have the perfect amount of icing, so you’ll just have to use the rest on some ice-cream or something. Eat until you can’t move.